Tires are second only to fuel in the hierarchy of recurring haulage costs at most mines. Making them last longer saves money, time and unscheduled maintenance calls. Anyone watching, for the first time, the factory assembly process for a mining-class off-the-road (OTR) tire is likely to be surprised at the number of individual components it takes to make these multiton giants. Typically, as many as 60 or 70 items of various size and composition—ranging from rubber to rayon to steel—are ultimately merged through heat and pressure into a deceptively simple-looking rubber donut engineered to survive the incredibly tough conditions encountered in mining applications. What’s also somewhat surprising is that tough OTR tires have many of the same needs that humans do for survival, such as adequate air, avoidance of extreme heat and excessive onboard weight, and protection from rough handling and collisions with unyielding objects. Remove any of these crucial ingredients from the basic recipe for tire care and service life suffers—sometimes catastrophically. Luckily for OTR tire buyers, there’s an abundance of service information, monitoring technologies, and high-tech software solutions available that can help mine operators meet tire maintenance demands and extract maximum value from their expensive tire inventories. E&MJ recently scanned the OTR landscape for new developments aimed at extending tire life, and found that state-of-the-art tire maintenance continues to involve a regimen of time-tested inflation, size matching and damage-avoidance expertise, coupled with new advances in tire design, repair and management solutions. Tires need air, and the newest ones need more air than older models. For example, Michelin’s XDR250 tire for 250-ton-class haulers, introduced in 2015, contains at least 9% more air than its predecessor, which allows it to carry heavier loads. The trend toward increased air capacity in giant-tire product lines is mainly a function of new lower-profile, wider-tread designs that are intended to reduce tire-to-ground contact pressure and thereby extend tread life. The extra width afforded by these designs results in a larger internal air chamber. Footprint shape, which is a critical factor in tire wear, traction and handling. Vehicle stability, critical for equipment such as wheel loaders. Loaded tire shape, bulge location, and size for desired load capacity, pneumatic cushioning and resistance to sidewall cutting and bruising from rocks. Too much—or too little—air is detrimental to tire performance and service life. As BKT explained, inflating a tire just 10% over its proper inflation pressure for the applied load results in a distorted shape. The center of the footprint will carry more of the load while the shoulders will be relatively unloaded. This will cause heat buildup in the tread center and premature wear on the shoulders. Overinflation makes a tire much more susceptible to cuts and impact breaks, and also magnifies the stresses on the tire structure resulting in a reduction in original life and the potential for retreadability. Overinflation will also reduce traction and flotation and compromise handling. Conversely, underinflation overloads the tire’s shoulders while underloading its center. This will cause excessive heat buildup in tire shoulders, as the rubber is usually thickest there. The tire center will scrub, causing excessive center wear. As well as negatively affecting wear, the distorted and uneven footprint of an underinflated tire will lead to poor traction, flotation and handling. The excess stress on the overloaded shoulders may lead to belt edge separation or casing fatigue. 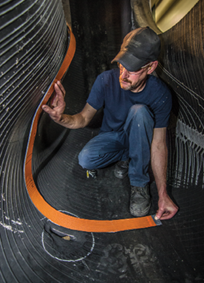 Underinflation will shorten tire life, compromise handling and can be a safety hazard. Another drawback from underinflated tires—particularly steel radials—is the possibility of creating a “zipper” tire, which can occur when a tire is run extensively while underinflated, allowing repeated and harmful over-deflection to weaken or break its internal cords, resulting in a flaw resembling an open zipper. The company warned that this condition can be dangerous and requires careful attention because it is not always readily apparent—after all, a worker’s first instinct when encountering an underinflated tire is to immediately add air. However, a visibly underinflated tire should only be re-inflated after careful examination to determine if it is fit for continued service. BKT recommends that tires observed at 80% or less of the recommended inflation pressure be dismounted and examined by a tire technician for signs of cord degradation. In addition, tires, that have been sitting flat or have been run while under-inflated (20% or more) should be dismounted and carefully inspected before re-inflation. The steel cords may have been kinked or over-flexed, and therefore weakened to the extent that they will not contain the required inflation pressure. With the price for a single haul truck tire being $35,000 or more, tire costs account for a significant portion of a mine’s operating budget. In addition, unplanned tire maintenance represents approximately 10% of overall maintenance hours. 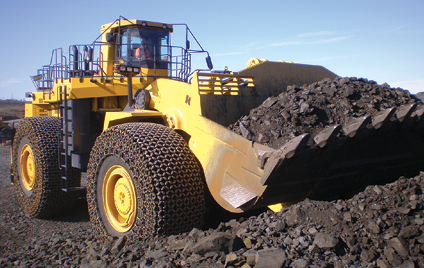 Modular Mining Systems’ DISPATCH FMS and MineCare Maintenance solutions offer several tools useful for resolving common tire-related issues. E&MJ recently caught up with Dan Allan, senior vice present of the Mining Tire Group at Kal Tire, one of North America’s largest commercial tire dealers. The mining group is a global organization offering tire service and supply in 17 countries on five continents, and currently has a presence at more than 150 mine sites worldwide. Allan has been spending a lot of time away from the home base at headquarters in Vernon, British Columbia, following the company’s recent market and facility expansions in Chile and Australia. However, his immediate attention is focused on refining the company’s strategy for the upcoming MINExpo 2016 exposition. Allan said the Ultra Repair service is gaining momentum as Kal Tire’s certification team has completed its evaluations at the company’s repair facilities in Canada, the U.K., South Africa, Mozambique, Ghana and Australia to ensure that technicians are fully qualified to perform the repair. It’s a complex procedure that can replace multiple broken steel cords in a tire, according to the company, and has been steadily refined and improved since its conception about 15 years ago, to the point where the company feels fully confident in its ability to cost-effectively repair damaged giant OTR tires of all sizes—and even to resurrect a sizable number of these expensive tires that have been consigned to the scrap pile after being deemed irreparable. The Ultra Repair process for fixing damaged giant tires is now available in six countries. The idea subsequently evolved into an R&D facility located on the outskirts of Vernon, British Columbia, staffed by full- and part-time engineers good-humoredly referred to internally as the company’s “mad scientists.” The aim of the center is to develop or refine, in cooperation with industry technology associates and a university engineering department, tire repair processes and technology to make the business safer and more efficient—and to pursue the most promising ideas to the patent-application phase. 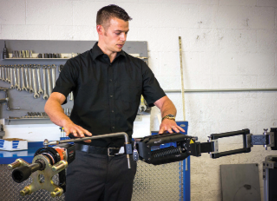 Kal Tire’s Innovation Center studies ways of making tire repair technology more efficient—such as this ‘anti-gravity’ mechanism that allows tire technicians to position heavy tools with ease. Kal Tire also is actively looking into technology for thermal conversion (pyrolysis) of scrapped tires, a concept that would take the common practice of shredding these tires into crumb rubber far deeper into the decomposition process. Working with an Italian engineering company that has extensive experience in tire retreading and related technologies, Kal Tire is pursuing the concept of using heat and friction to reduce giant OTR tires to fundamental materials; i.e., fuel oil, reclaimed steel and carbon ash. Allan also noted that Kal Tire has recently taken some long strides in expanding its market presence around the world. It’s the largest truck tire retreader in Canada—owning and operating 10 truck retread facilities there—and also has earthmover retreading facilities in Canada, the U.K., Ghana, and most recently in Chile. It also has been a top-level goal of the company to expand its presence to a national service provider in Australia. It began offering tire repair services in Western Australia about six years ago and the challenge has been bringing the service offering east, where many major mining operations exist. “Even though our reputation as an on-site service provider is strong in many countries, it has been a challenge convincing customers of our credibility inside of Australia as our experience there has been limited,” said Allan. The company’s first major inroad to the East Coast mining market occurred a few months ago when it acquired a tire repair facility in Muswellbrook, New South Wales, that had previously been operated by Goodyear. More recently, it bought the tire services division of Klinge & Co., a family-owned business based in Brisbane, Queensland, resulting in Kal Tire servicing numerous mines sites across Australia. This, said Allan, is a huge step forward for Kal Tire and its ambition to be recognized as a national mining tire service provider. According to Kal Tire, Klinge & Co. will maintain focus on tire management systems, training, and tools, and will continue to develop its software business in Australia and provide software training in other parts of the world. Given the potential and actual costs of early tire failures, it’s no surprise that mines are highly motivated to find a solution that can help them avoid excessive tire wear, catastrophic damage and premature replacement. Modular Mining Systems, recognizing that mines of all size and type face the challenges associated with tire upkeep, said it has designed its DISPATCH Fleet Management system (FMS) and MineCare Maintenance solution to provide mines with the tools they need to address and resolve common tire-related issues. For example, a multitude of circumstances can contribute to hazardous conditions on haulage routes. Deeply abraded and pitted road surfaces, water-filled depressions, unstable or slippery patches of ground, and debris or other obstructions are just a few of the oft-encountered hazards. 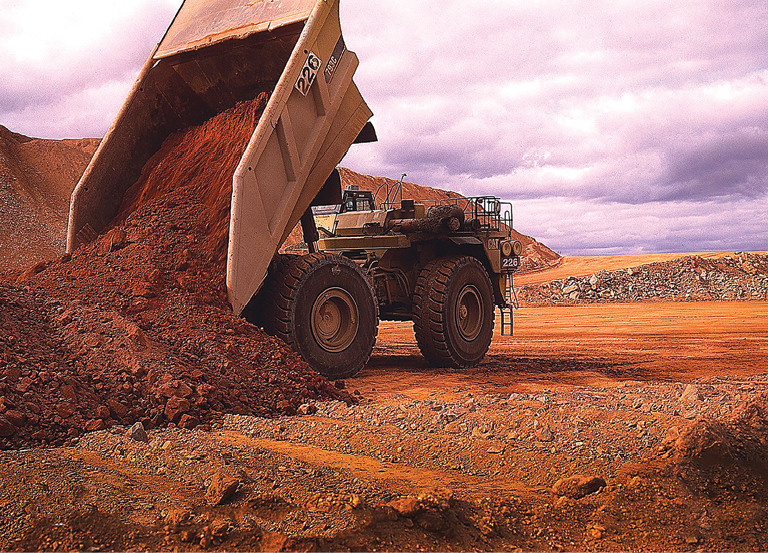 Modular noted the DISPATCH FMS Tire Management module allows mines to effectively plan and manage haul truck tire duty cycles and operating environments. Ton Kilometer per Hour/Ton Mile per Hour (TKPH/TMPH) utilities enable mine planners to evaluate the TKPH/TMPH impact of haulage paths, with limits manageable on a tire-by-tire basis. The onboard suspension interface logs instances when a tire experiences rough surfaces. In addition, truck operators can easily report spillage or other hazards such as shot rock from blasts on haul roads, and can flag the position of these locations in the FMS via their in-cab mobile devices. By plotting the location of problematic locations in the DISPATCH system’s MineGraphics perspective, the dispatcher can temporarily divert trucks to an alternate route and allocate roadwork resources to clear the hazard. Current road-condition information provided by the system’s RoadRoughness module also helps to identify the location of rough surfaces in the mine. Through the module’s interface and hardware, the DISPATCH FMS can record the locations of the events detected by the vehicles’ accelerometers and inclinometers as the vehicles travel on the haulage routes. Real-time alerts are sent to the dispatcher, supervisors and/or operators when a rough-road event occurs. The information is also stored in the FMS’ central database for historical analysis, which can then be utilized for short- and long-term haul route and road maintenance planning. By adhering to prescribed speed limits and observing best practices in loading and dumping areas and on haul roads, truck operators can have considerable impact on tire longevity. To help mines monitor and enforce speed regulations, Modular said DISPATCH’s Speed Management module uses GPS technology to accurately measure machine velocity. When equipment passes through monitored zones, the unit’s speed is compared with user-configured speed limit values for the specific location. Results are reported in real time to the supervisor and dispatcher in the central office, enabling them to address operator violations of mine rules in a timely manner. And, when the FastFeedback module is used in conjunction with Speed Management, operators are notified via a real-time configurable message whenever speed limits are exceeded. The mobile device installed in the equipment cab also displays the maximum speed limit for the operator’s location and issues an audible notification. An event log is automatically generated and stored, enabling supervisors to review speed-related events as a tabular report or as geotagged events in the MineGraphics perspective. Repeat offenders and frequent over- or under-speed locations can be identified by reporting against the historical event database, providing an audit trail for corrective action. DISPATCH FMS also supports a number of interfaces to original equipment manufacturer (OEM) tire monitoring systems, the majority of which detect abnormal temperature or pressure and software to monitor any alarms generated by the sensors. “While the OEM systems can do a lot to prevent premature tire failures, they have some limitations. Where high temperatures are concerned, simply relying on the onboard sensors usually results in taking equipment out of operation to allow tires to cool to a safe temperature before resuming operation,” said Neil Ferreira, product manager of fleet management at Modular. To expand upon the capabilities available via the onboard sensors, Modular developed the Active Tire Management system (ATMS). “The ATMS is tightly integrated with the DISPATCH FMS, which gives mines the ability to actively manage tire temperature and pressure in real time, thus reducing tire-maintenance related equipment downtime,” said Ferreira. The DISPATCH system interfaces with tire monitoring applications, such as the Michelin Earthmover Maintenance System, to mitigate premature tire failure. As the FMS acquires data via the OEM interfaces, the DISPATCH system’s optimization algorithm incorporates corresponding tire control actions, such as allocation of trucks to tire shops, assignments on shorter haulage paths, and emergency tire exceptions, into its real-time decision making logic. Tire control actions are prioritized from 0 (no action) to 4 (exception message) and are triggered by corresponding incoming tire temperature and pressure alarm events. Stellar Industries’ TM20165 tire handler can safely grab and manipulate tires from 44 to 165 in. wide. The latest evolution of Modular’s Maintenance Management product, the MineCare 3 solution, helps mines take control of tire health and longevity by providing the tools needed to respond to, track, document, research, resolve and predict mobile equipment health issues. By taking a proactive vs. reactive approach, preventative measures can be taken before failures occur. The MineCare 3 Event Handling application provides concise, at-a-glance insight into the equipment faults, including tire pressure and temperature alarms, occurring across the mine. This makes it possible for maintenance personnel to troubleshoot and act upon incoming notifications by taking immediate corrective action or scheduling a maintenance response. The Event Handling interface can be configured to display real-time fault notifications, events-by-location on the tracking map, data snapshots for root cause analysis, fault-specific diagnostic details, user-defined events with custom trigger criteria, and historical notification trends. temperature and pressure, the haulage cycle can be modified to alleviate repeat occurrences. 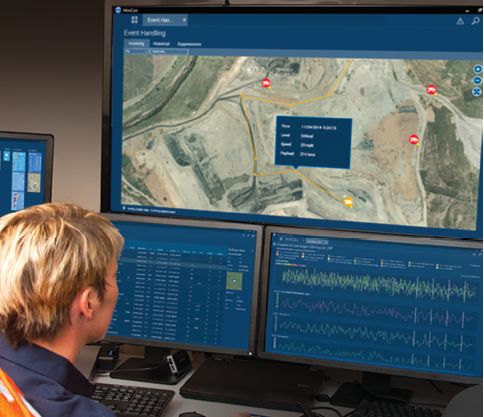 Optional integration with the DISPATCH FMS gives mines the ability to monitor operator performance, location, and status, in addition to equipment health status. In addition, FMS integration reduces the need for manual operational data correlation; and consolidates operations, location, and OEM data for comprehensive review, analysis, and reporting. With access to both maintenance and operations data, users are able to more effectively ensure that equipment is available to meet ongoing production needs. Inevitably, a tire will have to be removed from service and replaced, either for repairs or end-of-life disposal. Particularly in the former instance, a mine needs adequate tire-handling equipment to ensure that installation or removal can be carried out safely and without incurring further damage to the tire. In mid-2015, Stellar Industries introduced its 13500 Large OTR service truck, a mobile tire service crane that, when mounted with Stellar’s TM6116 tire manipulator, can handle tires up to 116 in. in diameter and up to 6,000 lb; without the TM6116 mounted, it can lift 13,500 lb at 10 ft from the centerline of the crane’s rotation. The 13500 is equipped with fold down-style stabilizers to provide stability, and is available in two configurations: a 17-ft-long single or 20-ft-long tandem body. Crane features include fully proportional radio remote control, enclosed extension boom cylinder, hexagon-shaped secondary and extension booms, integral-mounted pump and PTO on chassis, and load-holding counterbalance valves. Additionally, rotation is accomplished through a turntable bearing. For mines that use larger haulers, the company’s TM20165 handler, introduced at MINExpo 2012, lays claim as the most powerful and capable truck-mounted tire manipulator currently available. With a rated capacity of 20,000 lb, the TM20165 is capable of handling up to 59/80R63 tire and rim combinations, and provides more than 24 ft of reach, allowing maintenance crews to change inside duals without repositioning the truck. The tire manipulator itself features 315-degree body rotation, 360-degree continuous pad rotation, and clamping spans of 44–165 in. According to the company, with the clamping range offered by the tire manipulator, operators have the ability to handle wheel components and complete tire and rim assemblies without need of special adapters. Originally developed to protect construction-machine tires from broken pavement fragments left by bombing in WWII, Erlau AG’s tire chain designs now shield both small and large loader tires from mine-site rock hazards while improving traction on slick surfaces. When servicing or repairing large OTR tires, it’s essential that the tires installed on heavy mobile equipment are closely matched with respect to outside diameter (OD). Mismatched tires can lead to premature tire wear and equipment damage. Turning to another BKT Tires white paper, here’s what the company said about the nature of the problem. Situations that can lead to tire OD mismatch include mixing new and worn tires, mixing tires with different tread designs or tread depths on the same vehicle, mixing tires from different manufacturers on the same vehicle, and mixing tires of different construction (bias/radial). If all tires on a vehicle are matched for design and manufacturer, mounted concurrently, with the recommended inflation pressure, and have equal service time, the tread wear and resultant tire OD should remain similar and within guidelines. It’s particularly important to pay attention to tire matching on dual-tire fitments, where a smaller (OD) tire will have to rotate faster than the larger tire to cover the same distance. Also, with mismatched duals, the larger tire will carry a larger portion of the load. The result, according to BKT, is that the larger tire will likely be overloaded and will incur fatigue damage and subsequent reduction in tire life. The small tire is carrying a lighter load and is rotating too slowly to cover the same distance as the large tire, resulting in tread scrubbing and premature wear-out. And, because tread wear progresses much faster on the lightly loaded smaller tire compared to the heavily loaded large tire, the difference in tire OD/circumference between the two duals rapidly increases. This situation can damage both tires very quickly. Manage tire storage and rotation with the inventory tracking system. See detailed historical logs of tire rotation and maintenance. Monitor usage of various manufacturers’ tires. Assess tire pressure and temperature with Advantage PressurePro, Rimex TyreSense and Bridgestone B-TAG integration. Understand tire work rate, pressure, and temperature through real-time, color-coded visualizations. Gather tire parameters for maintenance purposes, including tread depth and odometer readings. Wenco recently announced that TireMax has been revised “from the ground up” with a new user interface, additional inventory functions, and extended integration with third-party tire pressure monitoring systems. The new version will be introduced at MINExpo 2016. When it comes to extending tire life on loaders operating in extreme or unusual conditions, tire chains are a practical option. As Germany-based tire chain supplier Erlau AG explained, protective chains enable an expensive asset—the wheel loader—to work efficiently in tire-busting conditions while reducing the customer’s costs for tire repairs and replacement. Chain-equipped loaders can perform productively in trackless underground mining, blasted-rock open-cast mining and many other applications. Chain systems are available to fit tires from the smallest loader, such as the 7.5 x 16 tires used on skid steer models, to the largest—the 15,000-lb, 13-ft-tall 70/70-57 tires used on Joy Global’s Le Tourneau 2350. Erlau provided a real-world example involving machinery at work in a gold operation in Asia. The mine employs several Cat 988 loaders to work the ROM pad—high-mileage, high-hour duty with a constant threat of unpredictable tire damage. These machines work 18 hours per day, 550 hours per month, 6,600 hours annually, representing several thousand miles of travel each year. They work in two types of material: a transitional substrata of clay, and in dense hard rock. Chains help in both environments—providing traction in the clay, and protection from hard-rock damage. Using Erlau’s Fels Gigant Plus X19 tire chains and a scheduled plan for recentering every 5,000 hours, tire damage or loss is controlled and costs reduced. Erlau pointed out that its tire chain systems can be considered a type of ground engaging tool and, in the same manner in which a mine might select an excavator bucket type or a bucket tooth profile, chain specifications need to be carefully considered to achieve expected performance. The company offers a range of chain systems with different types of high-alloy, case-hardened link ring profile meshes that can be applied to achieve acceptable chain life while protecting the tread and sidewalls of the tires. The necessity—and capability—to quickly and efficiently make repairs on large OTR tires can pose challenges for tire technicians. According to Monaflex, a vulcanizing specialist company based in Guernsey, Channel Islands, OTR tires are used under extreme conditions and experience greater loads and flexing than tires used elsewhere, so a robust process such as a hot cure is required in order to accomplish reliable repairs. The Monaflex OTR repair system, for example, comprises a control panel, a cylinder airbag to fill the section void, two heat pads for use on either side of the repair, an outside flat airbag and harness guide, and is designed to replace the typical heavy equipment used for vulcanization. 1) Always remain within repair consumable manufacturer guidelines. Determine whether the repair is possible by referring to the dimensions provided in the manufacturer’s guidelines and do not exceed their recommendation. 2) Use accurate pressure for a perfect repair. Pressure needs to be applied accurately to ensure that the repair conforms completely to the complex profile of the tire and produces a distortion-free, feather-edged repair. 3) Dual heat sources lead to faster repairs. The use of simultaneous internal and external heat sources allows for rapid transfer of heat through the repair and simultaneous curing of the patch and the plug—both leading to a significantly reduced cure time. 4) Make sure the repair system can handle the size. Many maintenance teams are forced to undertake multiple cures to repair large injuries—a time consuming process. By using a heat pad of sufficient surface area, technicians can cover and vulcanize larger repair areas in one cure. 5) Be meticulous when preparing the repair area. 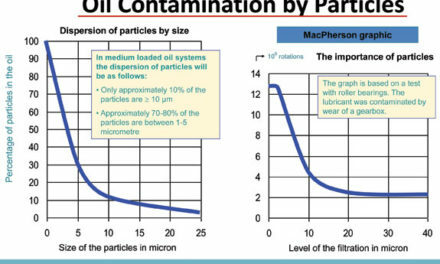 To avoid contamination, cleanliness is vital at all stages. Ensure that the repair area is thoroughly scraped and cleaned before and after preparation for the patch and skive plug installation. Always follow Rubber Manufacturers Association (RMA) specifications when buffing. Thoroughly brush and vacuum the repair area. 6) Allow cement to dry properly. Make sure cement dries completely before stitching the gum or patch down. This prevents wet cement “gassing off” during the curing process, which could compromise the repair and cause failure. 7) Use the repaired tire in the proper way. This is even more important when large injuries have been repaired. Check company guidelines and always mount repaired tires at the rear of the vehicle to minimize stress.